I’ll be the first to admit that I’m not an expert on everything. Don’t look so shocked! Luckily for us here at Scandinavia Standard, we’ve made a host of amazing friends who are all experts in their respective fields. With that in mind, we’re launching our latest series: Capsule Collection. It’s a list of 20 items curated by someone who knows what they’re talking about. First up is Kjetil Aas, head designer of Armoire d’homme and Armoire de femme. Originally from Norway, Kjetil now lives and works in Copenhagen, where he focuses on Scandinavian minimalist lines and sustainable design in his two collections. One look at Kjetil and you’d understand why he’s the perfect man to curate the Scandinavian Man’s Wardrobe Capsule Collection. He’s just got it down pat. 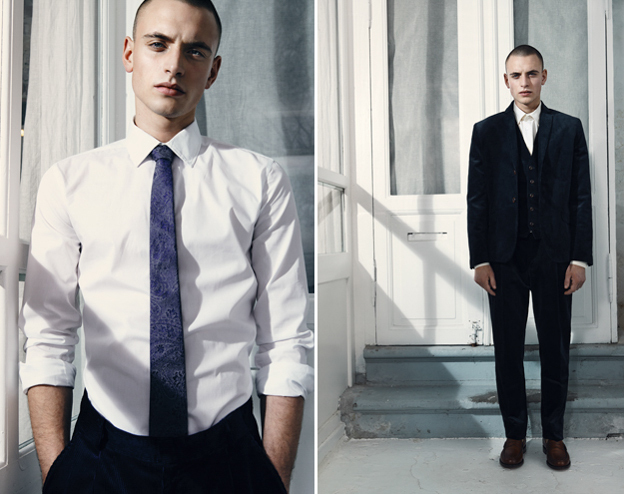 Crisp whites, perfect tailoring and touches of brown leather; how can you go wrong? So here you go: the 20 items every Scandinavian man (or Scandi-man wannabe) needs in his closet, hand-picked by Kjetil. A classic brief. These are from Swedish brand The White Briefs and are made out of 100% organic cotton. A must have in any man’s wardrobe. 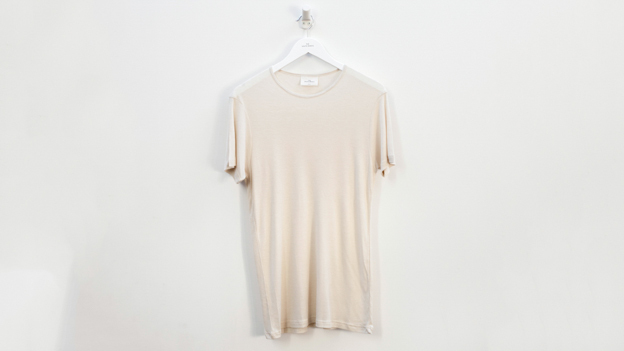 This crew neck t-shirt, also from The White Briefs, is a true wardrobe staple. Made out of a soft cotton-cashmere blend, it will go with everything and anything! 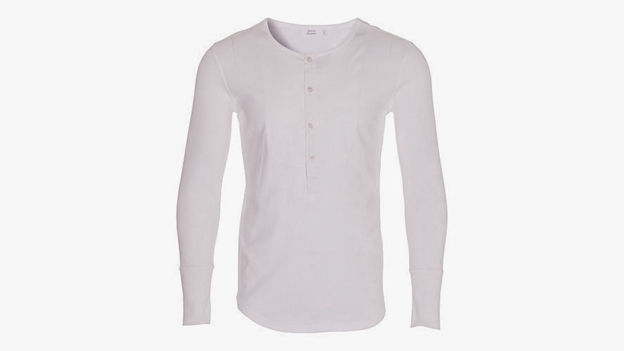 This slim-fit, long sleeve Henley with a contemporary look comes from my line Armoire d´homme. Made out of 100% organic cotton, it’s a must have during the cold Nordic winter and is perfect for layering. 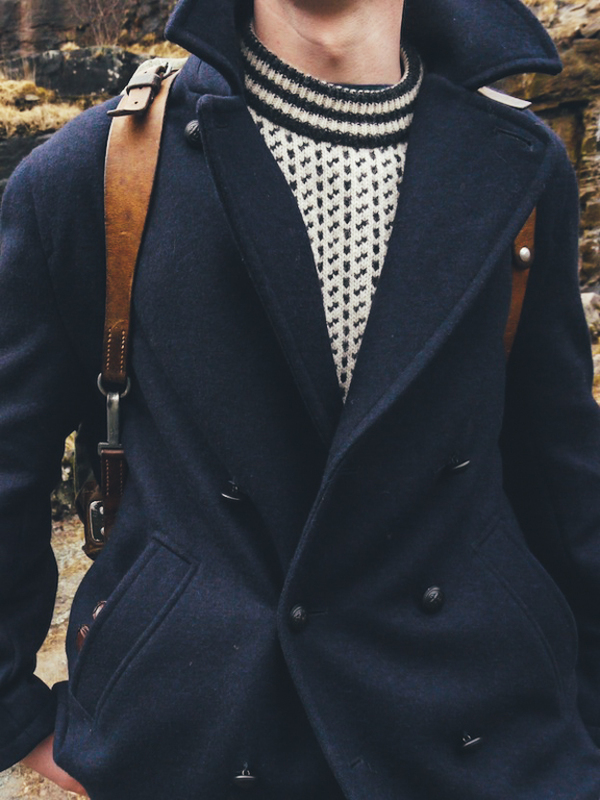 This dark navy peacoat from the French heritage brand Saint James is an essential for those cold winter days. 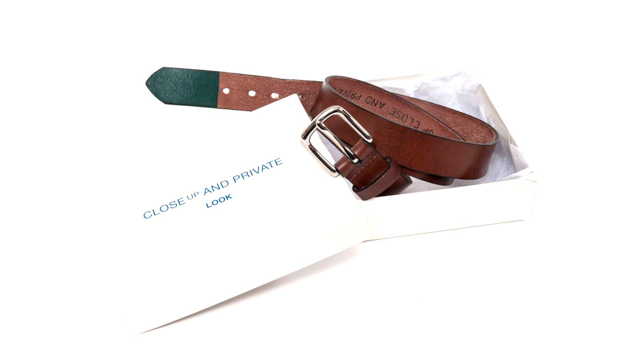 A classic belt with a modern twist, from the collaboration between Close up and Private and Leather Projects. Handmade in Copenhagen. For those things you need to carry around in your daily life. This version is from Swedish brand Sandqvist and will last for years. We should all have someone in our lives supplying us with warm, cosy hand-knit socks. If you don’t, learn to make ’em yourself! Everyone should own a pair of white sneakers. 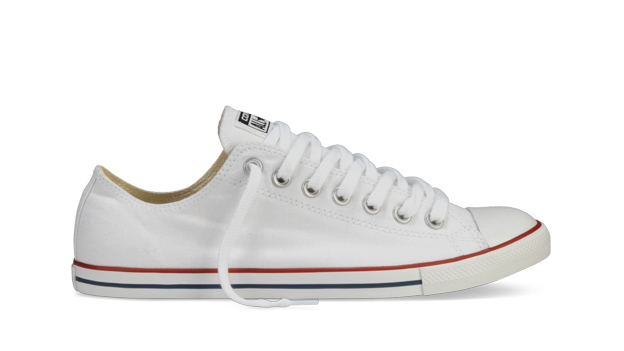 No other sneaker combines old fashioned style and street-cred like these Chuck Taylor’s from Converse. A dark blue suit is the backbone of a man’s closet. This set, in Italian corduroy, from Armoire d´homme has the perfect mix of classic and contemporary. 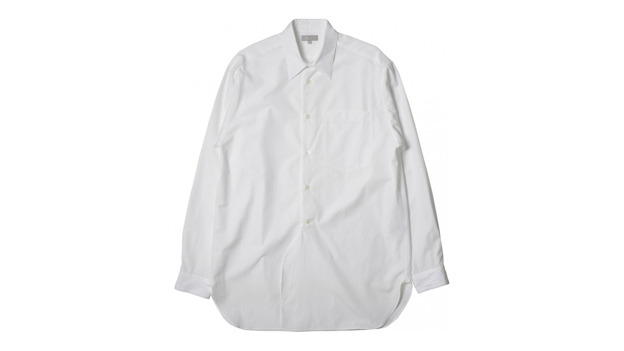 You can’t go wrong when you start with a white shirt such as this plain poplin version from Margaret Howell. It will be the most versatile item in your wardrobe. 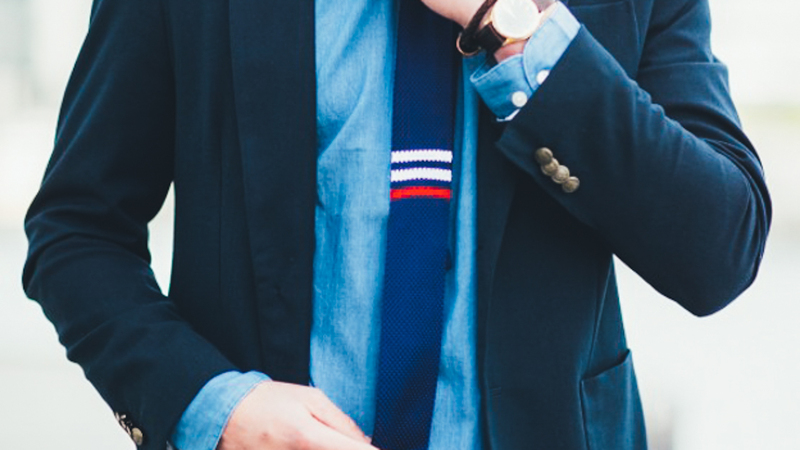 A classic tie is an essential accessory. This preppy version is from the emerging Danish brand An Ivy has a classic shape and colour with a light modern pattern. 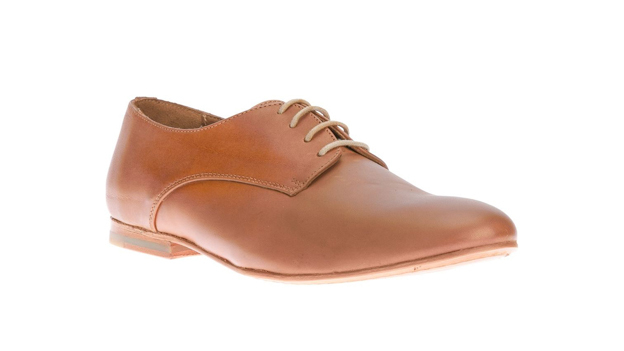 A good pair of derby shoes works well with both a casual or tailored look. This tan pair from British B-store are perfect in combination with some dark navy chinos. A pair of dark navy chinos are ideal for any number of occasions. Wear these ones from Armoire d´homme with a classic white oxford shirt or a white crewneck t-shirt for a more casual look. Necessary for those rainy days (there will be lots if you’re in Scandinavia). 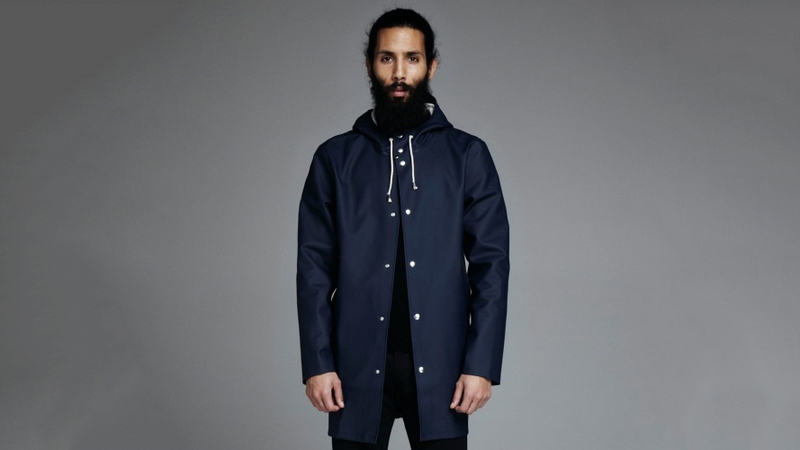 This navy version from Swedish brand Stutterheim has a classic look and is perfect for layering. A classic merino knit can be worn with mostly everything in your wardrobe. 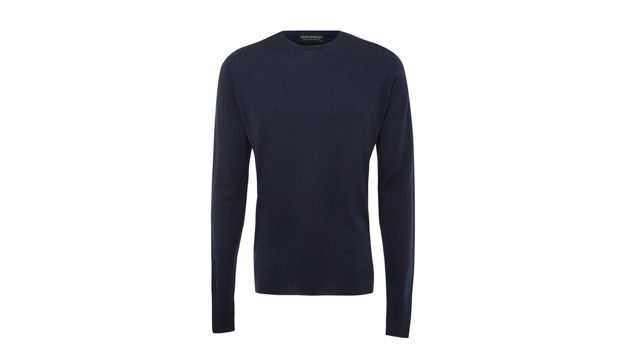 Go for a dark navy version, like this one from John Smedley, made out of fine gauge yarn from New Zealand. 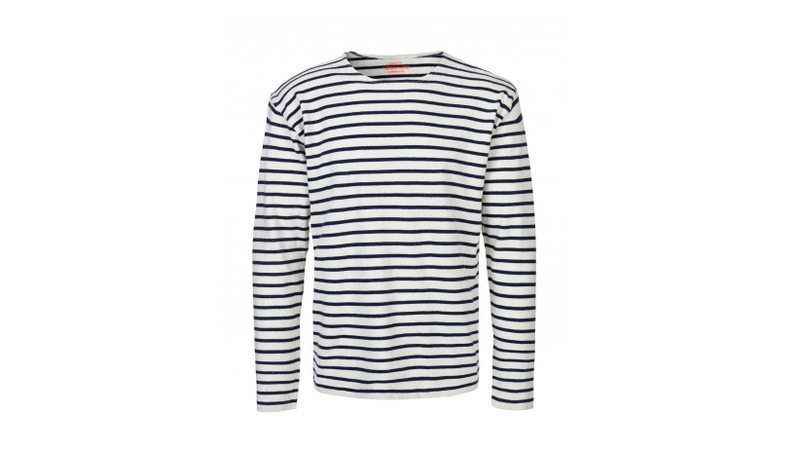 Nothing is more timeless than a navy striped t-shirt. In Denmark, the most obvious choice is this long sleeved iteration from Mads Nørgaard. A true wardrobe staple. Never understimate the need for a good perfume. 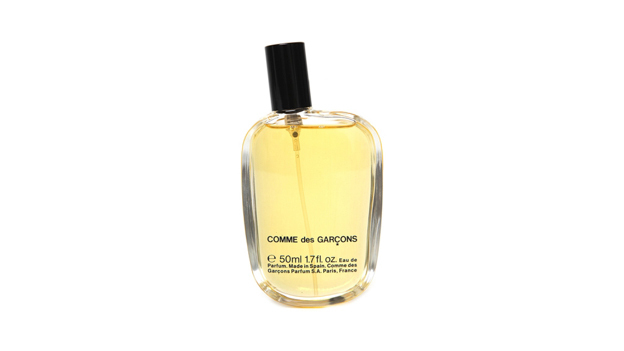 This classic eau de perfume from Comme des Garcons was launched back in 1994 but its still one of the best around. Living in the cold north a good quality face lotion is a must have keeping your skin fresh and moist. 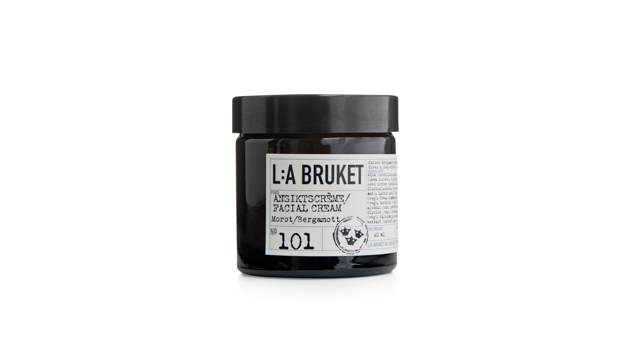 The original facial cream from Swedish L:A Bruket are for daily use and suits both dry and normal skin. A warm and thick knit sweater is a must-have for your winter wardrobe. 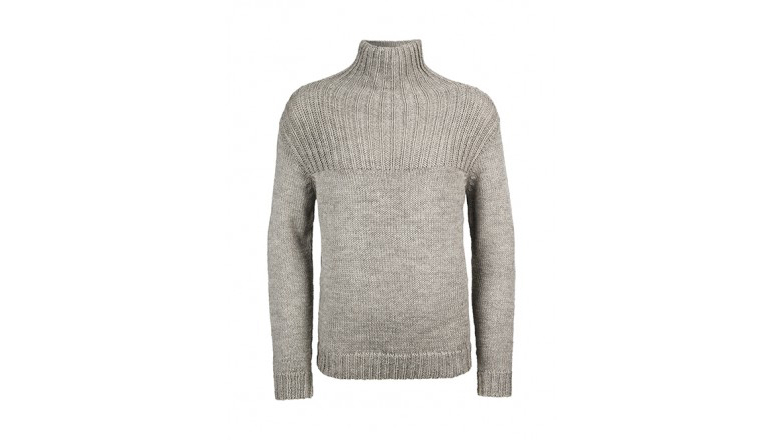 This one from Armoire d´homme is made out of organic alpaca wool. It will definitely keep you warm during those chilly days. 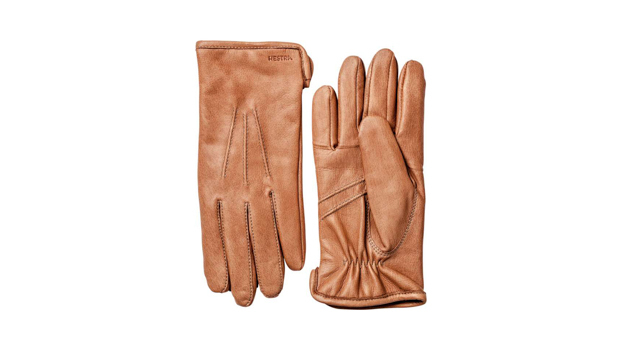 These wool-lined gloves from Swedish brand Hestra will be with you for years to come. Did we miss a foundational item? Do you have something in your closet you can’t live without? Tell us about it! October 18, 2014 by Rebecca Thandi Norman.